Daffodil Bulbs are best planted in autumn, we provide a guide to Daffodil Bulbs including miniature, double and fragrant daffodils, nurseries and notes on growing notes and care. Species daffodils are also a fantastic addition to the garden. Daffodil Bulbs from Mail Order Nurseries, Specialist Nurseries andRetail Nurseries. Daffodils are native to Europe, North Africa and Asia, originally a woodland plant and will grow well in shade to full sun. A soil rich in humus is best, so dig in well rotted manure. They make excellent cut flowers. After flowering in the spring, allow plants to grow until the foliage dies back. This allows them to store energy in the bulb for the following year. Plant bulbs in clumps for best effect. Bulbs are easy to buy online and are sometimes for sale in supermarkets and hardware stores. 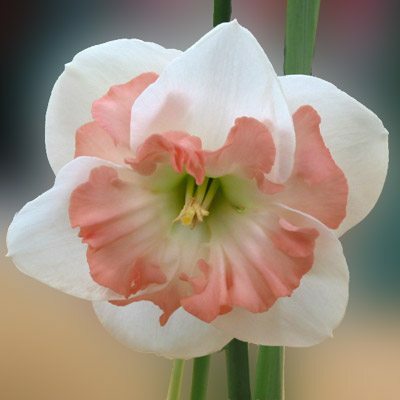 When purchasing ensure that they are firm and dry and with no sign of disease or mould, specialist daffodil nurseries prove to be regularly reliable. In many cases it is not necessary to lift bulbs every year. Remember to leave the foliage on until the plant dies back. The foliage is where the daffodil bulbs draw energy from. A complete fertilizer will help produce strong blooms, and a little mulch will help keep the bulbs from drying. Bulbs are best planted in a humus rich well drained position where they receive plenty of sun. Plant bulbs in clumps or groups about 12 cm apart. They need to be planted about 10 – 14 cm deep. Dig the soil well and dig in some organic matter, plant the bulbs and water in well. 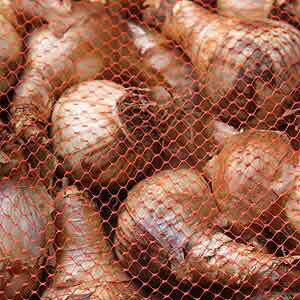 Bulbs should be planted in autumn, if you intend to divide them lift them in late summer and store until late autumn in a cool dry well aired position.